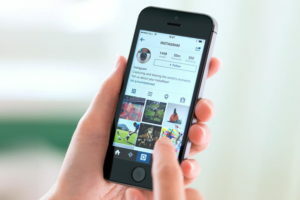 Instagram has become a popular destination for social users and businesses alike, with more than 200 million active monthly users. It’s not surprising that many marketers are turning to the platform as a way to further engage and inspire brand loyalty. If you want the masses to pay attention, you have to give them something worthy of paying attention to. So what is considered quality content? Getting a reader to stop and actually look is the first step in the cycle of engagement. Hashtags are incredibly useful on Instagram. They allow people to find your content, join a community, browse a category, etc. A hashtag is a great first step to bring people to your post. 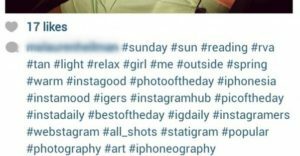 The more hashtags you use, the more likely you’ll be seen. Know the best time to post for your audience. This will be when your followers are most active, commenting and posting. That’s when you’ll get the most engagement. Use this information to continually grow your Instagram following. Posting in patterns has been shown to increase engagement. This could be posting once per week. Twice per week. Or even each day. Posting consistency allows people to more regularly see your brand and begin to remember you. Instagram also rewards people who use the app consistently. 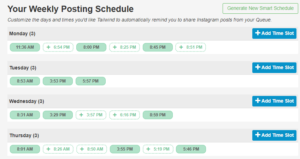 If you’re not consistent, Instagram will not show your new posts often in a follower’s home feed. One strategy to get people to engage is asking a question. What do you think about ___? Have you ever tried ___? What are your thoughts on ___? Who’s interested in a post on ___? When you speak directly to the reader, it’s more likely they’ll respond. People go out of their way to comment on your posts. Take the time to reply to as many comments as possible. It gives your brand a more personable side and opens the lines of communication. Asking people to tag their friends can sometimes cause a snowball effect. New people might discover your account for the first time. Start a fun game with your followers by asking them to reply to the last comment. This encourages activity beyond your typical engagement. 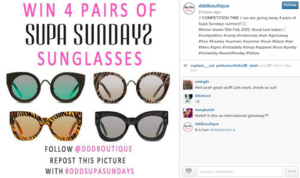 One of the most popular ways to encourage engagement is by hosting a giveaway. From commenting to hosting giveaways, these tips showcase useful ways to grow organic engagement on Instagram. Don’t have time to develop your own strategy? When you partner with an agency like mXtr Automation, we work with you to develop a holistic marketing approach that’s tailor-made to your business. From social engagement to lead generation, we have you covered.